Traffic Robot 2.0 Review - Free Traffic or Waste Of Time ? Find Out Now ! Thanks for taking a look at my Traffic Robot 2.0 review! In the event that you weren’t already aware my name is Rick, and I run Online Part Time Jobs From Home. Com. I’m glad you’re here with me today. If your someone who wants to enhance the quality of your life by making money online, then you’ll be well-served to continue reading the rest of this Traffic Robot 2.0 review. Traffic Robot 2.0 is a Web Based Application that lets you get Mass traffic from Social Media platforms. You can add your social media accounts with 1 click and post videos, images and text to 10 social platforms. The front end cost is $22.95. There is also video training included with the front end . It also comes with a number of bonuses, including Super Quick Traffic (Worth 197), Rapid Income Email Software (Worth 147), and 10 WordPress plugins Worth $497.00 … Really ?? They seem to compliment the offer well. Traffic Robot 2.0- How Much Does It Cost? Hey, it’s a fair question. So why not just get it out of the way? At the time of writing this review, you can expect to pay $22.95 for Traffic Robot 2.0. Of course, this probably isn’t permanent. As long as Billy Darr and David Kirby aren’t bluffing, the price is bound to go up soon. Although this could well be just another scarcity tactic that is commonly being used in Affiliate marketing in today’s world. I personally don’t care for this type of Marketing, even though I have seen it many times. If I buy Traffic Robot 2.0 will I be offered any Up-sells? These upsells seem to be “value-added” in nature, which means that you should be able to experience even greater success with the front-end product by using them. But I seriously doubt that you’ll need ANY of them in order for Traffic Robot 2.0 to give you some results. Honestly, the main Web Based software has the ability to post to social platforms, but is it actually GONNA drive Mega free Buyer Traffic? I have my doubts, unless you have a huge social following and in that case do you really need to buy Traffic Robot 2 ? Traffic Robot 2.0 Review… Does It Honestly Do What It Claims? Let’s not beat around the bush. Is Traffic Robot 2.0 actually going to make you any money? I hate to have to say this, but… it’s probably up to you and the size of your social accounts. At first glance, the product itself seems legit. What I find is that most systems out there will work for you, if only you’re willing to follow through for an adequate amount of time. The problem is, a huge number of strategies are way too slow or missing information . It could also be that they call for tons of effort on your part. So you don’t bother because it’s hard to justify investing all of that time and effort in something that you don’t know for sure will pay off. What I can say about Traffic Robot 2.0 is that I can see this working but as stated earlier if you do not have a large Social account then probably NOT! But you should do more research for your self and see what you think, just to let you know I did not buy it. If you are interested in how to actually get free traffic from search engines check out my bonuses, they are 100% free just for visiting this page. No up-sells, No BS just Actual Value … Really!! The question is, how long will positive results take to achieve? If you go by the proof shown on the official product page, They say “You Can Drive Unlimited Free Buyer Traffic To Any Website Of Your Choice In Less Than 46 Seconds”. I don not believe it, this is just more sales Hype to get you to buy . Obviously, neither me or Billy Darr and David Kirby can legally make any income guarantees. There are as many potential outcomes with this web based software as there are people. But if you give Traffic Robot 2.0 a try, ensure you have a large social following or you will probably be disappointed. But even though this does seem to be new software, it does have its flaws. As such, we’ll take a look at both the pros and cons right now. 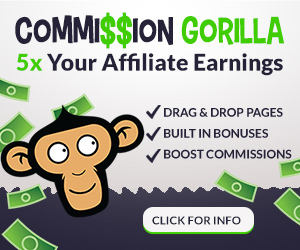 When we’re finished with that, I’ll unveil my bonuses, which can greatly enhance your success with Affiliate marketing and actually learning how to get free traffic. The Brand New Traffic Robot 2.0 Software is a beginner friendly cloud based Traffic Generation Software. They offer Customer Support if you have problems with the Software. Video Training series that offers solutions to earning money with the traffic you generate. You still need a social following and a large one at that. Yes you can build a campaign in 46 seconds but can you actually get free traffic that fast. I guess if you can with social media? * Free Affiliate Marketing Video Training Series, everything from building a profitable website to how to actually make money with it. * 2 Free WordPress websites with Hosting Included. These are not crappy Blogger web sites but real WordPress sites that are hosted on Site Rubix . * Free SEO Keyword Tool, Plus Training on how to find Keywords to Rank Your Pages. NOTE *** You will have to enter your email address BUT You will not be added to any list. Not mine,Not anyone’s. It is only it is only used to access the Wealthy Affiliate Members area.This is where you will be able to access all the tools and training that I have listed above. It is my personal Guarantee that you will not be faced with any emails or Up sells of any kind. I will also Guarantee that you will have access to everything you need to actually succeed in building a REAL online Business. Listen, if you really want for you take Traffic Robot 2.0 and try to make a fortune with it go ahead. I would never try to insult your intelligence by offering you some bogus “$25,000 value” bonus package on a product that sells for only $49.00 per month. These are the types of bonuses that often contains a bunch of old and outdated private label rights trash. More often than not, these aren’t actually created in an effort to bring you greater success. With my bonuses you’re really being given a legitimate opportunity to create a brand new lifestyle. Honestly, I think you’d be very wise to get in on this opportunity while you still can. Thank you again for checking out my Traffic Robot 2.0 Review. I hope you’ve gotten a lot from this.